Hi, I’m Jared, and I’ve got a real pain in the … back. I’ve been dealing with this for about eight months, during which time I’ve done a lot of research on possible causes and solutions, so when my wife, FBG Kristen, asked me if I’d be interested in reviewing a book called Yoga: The Back Pain Cure by Howard VanEs and Dr. Rick Harvey, I figured it certainly couldn’t hurt. The book claims that 93 percent of readers who followed the suggested yoga routines showed improvement. I’d been doing yoga with Kristen regularly already, which was showing positive results, so that claim didn’t surprise me at all. This book was a really helpful source of information about lower back issues. Throughout my months of research, I found many causes and solutions to lower back pain. I could have found them all very quickly and conveniently in this book (and that was just chapter 1!). The book also gives a quick anatomy lesson on the lower back, which was easy enough for me to follow, although I do have some familiarity with human anatomy (thanks University of Florida). 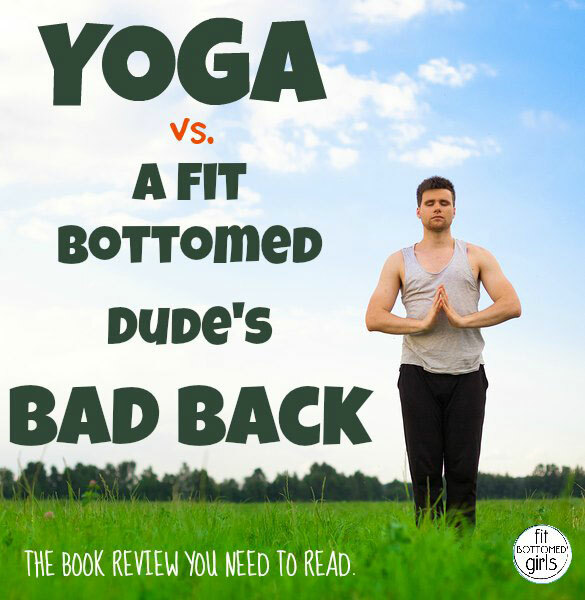 The yoga section of the book had two parts. One was for acute pain (occurring within the last 24-48 hours) and a strengthening section to help maintain a healthy lower back. The poses seemed pretty basic to me, although, like I said, I’ve been doing this for a while. If this is your first exposure to yoga it might be difficult to read through a yoga position with just one picture to help you — it’s very different than watching the yoga position on a video or working with an instructor. My experience made it easier, I’m sure, but I do feel that after reading through the positions once or twice a beginner could master them. Even though the positions were basic, I could still feel the stretches as I moved through both sections. Maybe the best takeaway for me was the fact that the book gave me some great ideas on quick stretches that I can do while I travel. I don’t always have time to fit in full a 30-minute yoga session, and the routines in this book take about 10 minutes, which is easy enough to fit in. Wow, looks like a great book!